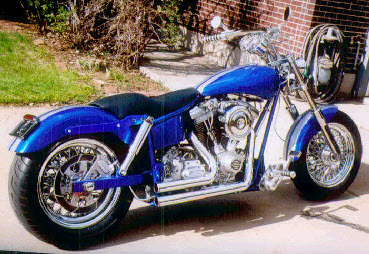 Most auto, motorcycle, and recreational vehicle insurance policies include an appraisal clause which is designed to allow the claimant and the insurance company the option to hire an independent appraiser if there is a dispute over the value of the vehicle involved in the claim. When you hire Harold Camp to appraise the vehicle involved in your claim, we go to work immediately to help you settle your claim fairly. Our appraisal is usually finished within 72 hours of completion of our vehicle inspection/interview. The appraisal report is available to our client by mail, fax and/or emailed as a secure Adobe Acrobat Document (PDF) file attachment to help expedite the insurance claim settlement process. *The appraisal fee for total loss insurance claim settlement is based on a flat rate and may vary somewhat depending on the type of vehicle appraised. We provide a mobile inspection service and travel fees may be applied for the inspection of the vehicle appraised. When you call for a free telephone consultation, we will quote the total cost of your appraisal up front based on the information you supply. There are no hidden costs or extra fees for consultations or correspondence with our clients or any other appraiser involved in the claim. 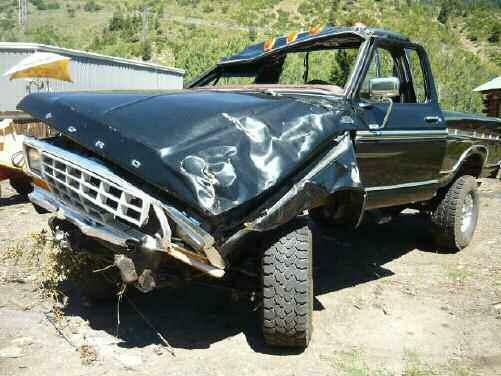 Do you have a vehicle that's been involved in an accident, fire, flood, stolen or otherwise deemed a total loss? Do you have a vehicle that's been damaged and repaired? Whatever the case may be, if you are involved in a total loss or diminished value insurance claim, we can help you settle your claim. As an independent professional motor vehicle/transport appraiser, Harold Camp d/b/a Appraisal Specialties of Colorado works for both the general public as well as insurance companies (we are not contracted with any insurance company) to settle your motor vehicle/transport insurance claims fairly with accurate unbiased professional certified appraisals. We execute every appraisal assignment as if our appraisal will end up in a court of law, because in some cases they have. When you hire Harold Camp as your appraiser, he personally performs each inspection and evaluates the overall condition of the vehicle involved in the claim. He does all the appropriate market research himself targeting true comparable vehicles. We don't hire third-party companies to supply us with market data and we are not a franchise supplied with market data and values by a central office. As a trained and experienced appraiser, Mr. Camp personally performs the value calculations and completes the worksheets to document his value conclusion, then he prepares a formally written appraisal report document for his client. "Each case is uniquely different, doing all the work myself from start to finish for each client allows me to know and understand every aspect and detail of the entire appraisal therefore preparing me as a much more effective appraiser and expert witness, if needed." Most insurance claim cases don't end up in court, but if one does, we are prepared with the necessary market data and documentation to effectively defend our value conclusion. Do you have a vehicle that’s been damaged and repaired? If you have a vehicle involved in a third party claim and that vehicle has been damaged and repaired, the claimant may be entitled to compensation for diminished value of that vehicle. What is diminished value? Diminished value is basically the difference between the market value of a vehicle immediately prior to an accident/loss and the market value of that vehicle after the repair is completed. Most consumers will not purchase a vehicle with previous damage history. However, there are some dealers and retail buyers who are willing to purchase a vehicle with previous damage history, but at a reduced price. The amount of diminished value varies from one case to another because each case is uniquely different, it is usually anywhere from 10% to 50% of market value depending on many different factors. ● The year, make and model of the vehicle involved in the claim. ● Condition and mileage on the vehicle prior to the accident/loss. ● The location of primary damage on the vehicle. ● The extent or severity of damage to the vehicle. ● Was there any previously repaired or prior unrepaired damage to the vehicle? ● Was the repair facility chosen by the claimant? ● Was there any frame/unibody damage? ● Were OEM, aftermarket or used parts used in the repair? ● Overall quality of the repair to the vehicle. ● Is any applicable vehicle warranty cancelled or otherwise ineffective? Harold Camp of Appraisal Specialties of Colorado has the necessary experience, knowledge and resources to appraise your vehicle for diminished value. As with all of our insurance claim appraisals, we guarantee an unbiased fair appraisal based on actual market and sales data. *The appraisal fee for diminished value insurance claim is based on a flat rate and may vary somewhat depending on the type of vehicle involved in the claim. We have a mobile inspection service and travel fees may apply for the inspection of the vehicle appraised. When you call for a free telephone consultation, we will quote the total cost of your appraisal up front based on the information you supply. There are no hidden costs or extra fees for consultations or correspondence with our clients or any other appraiser involved in the claim. Most motor vehicle insurance policies have an appraisal clause which allows the claimant or insurance company the option to hire an independent appraiser to help settle a claim. Typically, if there is a dispute over the value of a vehicle, the claimant hires an appraiser and the insurance company also hires an independent appraiser and the two appraisers each appraise the vehicle and then try to come to an agreement on a settlement value. If the two appraisers cannot come to an agreement on a value, then a third appraiser may be hired as an umpire. The umpire should do his or her own appraisal on the claim vehicle then review the two appraisals previously submitted. At this point, the umpire may declare a decision based on their agreement with one of the two previously submitted appraisals or if any two of the three appraisers involved agree on a value, then that value is what the insurance company will pay. If there is still a dispute over the settlement amount at this point, the only recourse for the claimant is to file a lawsuit in court. *My fee for insurance claim umpire services is based on a flat rate and may vary somewhat depending on the type of vehicle involved in the claim. We have a mobile inspection service and travel fees may apply for the inspection of the vehicle appraised. Call me today for a free telephone consultation, we will give you a quote for the total cost of our umpire services up front based on the information you supply. No hidden costs or extra fees for consultations or correspondence with our clients or the other appraisers involved in the claim. *Appraisal fees quoted are subject to change if information supplied for your appraisal fee quote is incomplete or deemed inaccurate. In addition, insurance claim appraisal fees do not include our customary fee for time spent in litigation support or for any deposition or expert witness testimony in the courts. These services are available at extra cost. It is understood that our services are as an independent professional consultant; that payment for same shall be made promptly and is not contingent upon the results of any legal action, arbitration or settlement; and that costs incurred or the time spent at the demand of other parties to any litigation (including depositions and expenses) may be billed to the party making the demand; but that the responsibility for payment remains with the client. Also, Harold Camp, d/b/a Appraisal Specialties of Colorado, has the right to refuse service to any client for any reason and any legal action against Appraisal Specialties of Colorado will go through arbitration.